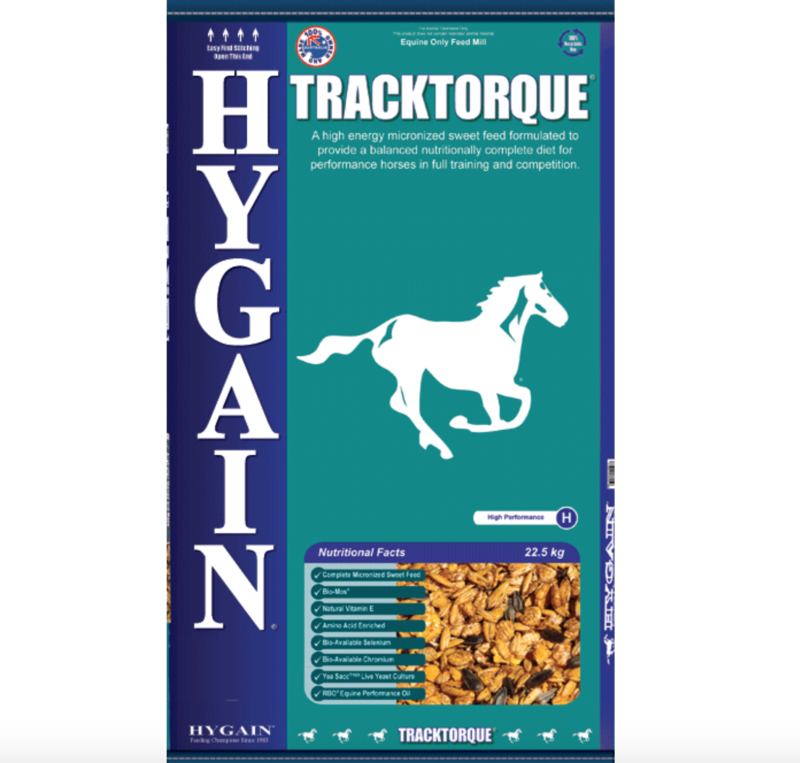 A palatable blend of micronized grains, chaff, vitamins and minerals coated with RBO® Equine Performance Oil® and molasses – a balanced nutritional diet suitable for medium to high performance activities. 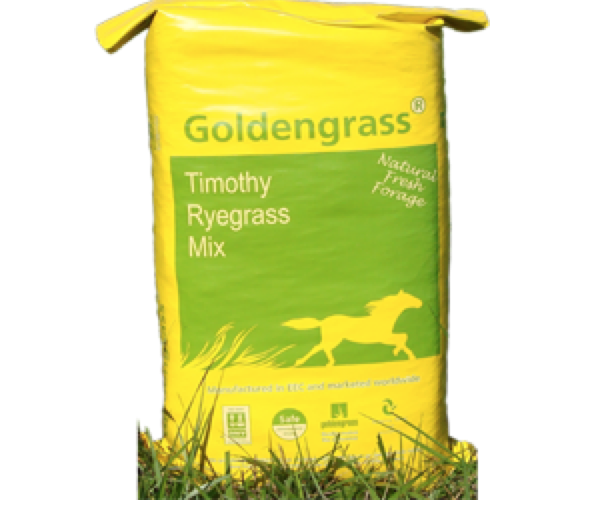 Reduce feed intake on rest days, if horses gain weight and/or training regime is interrupted. 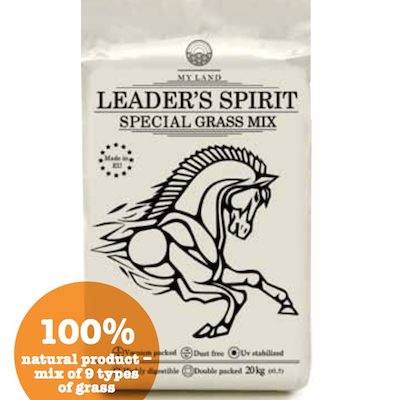 It is a complete feed and as such the addition of other grains and supplements only serves to dilute the nutritional balance of the feed. 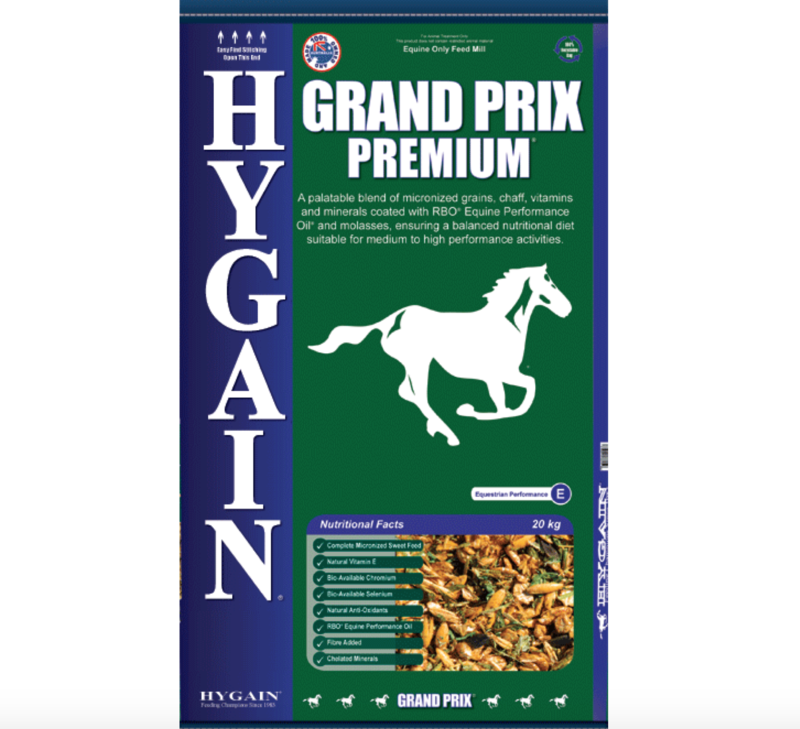 Ponies on average will require 1-3kg of HYGAIN® GRAND PRIX® together with 1% of their body weight as quality roughage per day. 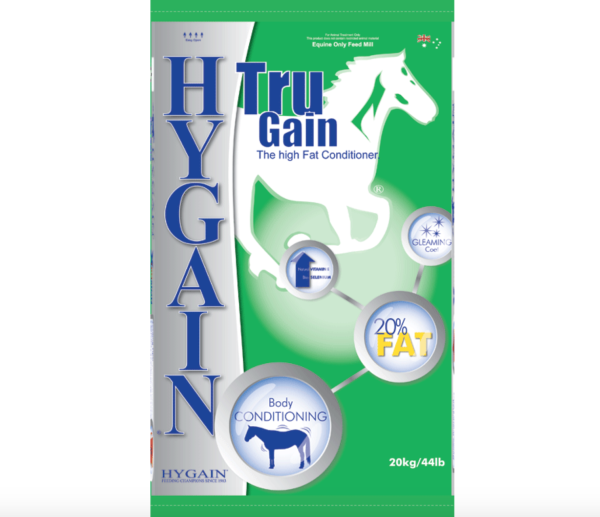 Horses on average will require 3-6kg of HYGAIN® GRAND PRIX® together with 1% of their body weight as quality roughage per day. 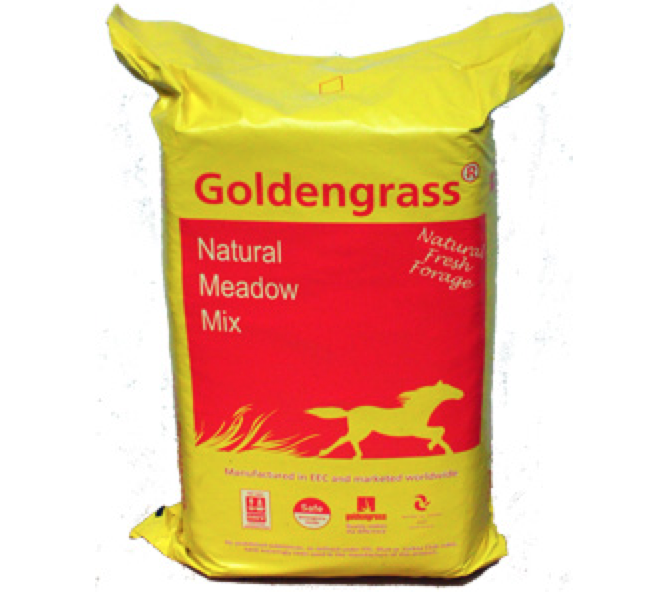 Cooked and Flaked Oats, MICRBARLEY®, MICRMAIZE®, MICRLUPINS®, RBO® (Rice Bran Oil including Omega essential fatty acids and Natural Anti-Oxidants), Natural Vitamin E, Lucerne and Oaten Chaff, Molasses, Salt, Calcium Carbonate, Di-Calcium Phosphate, Lysine, Bio-Available Selenium, Bio-Available Chromium and HYGAIN® Vitamin and Chelated Mineral Premix. 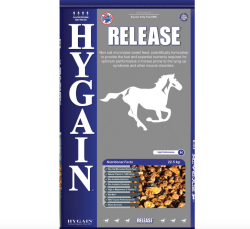 Bio-Available Chromium – The addition of chromium to performance horse diets has been shown to reduce the build up of lactic acid at the end of strenuous exercise or the closing stages of a race and to increase the horse’s ability to store glucose.